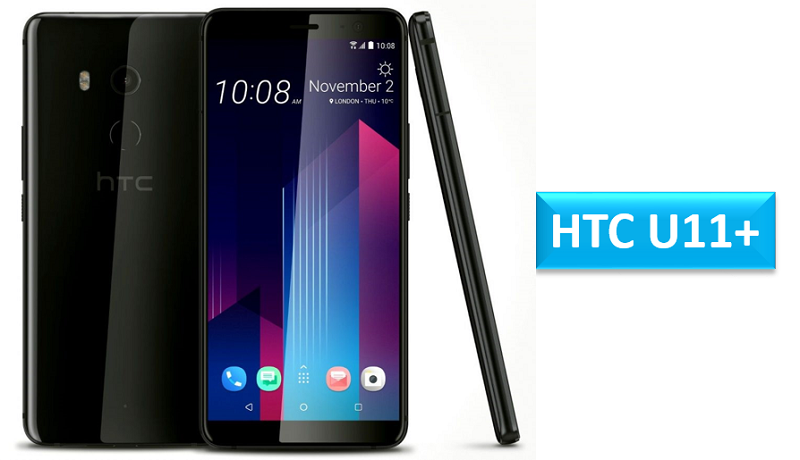 HTC launched HTC U11+, the latest flagship smartphone in the U series in India. It runs on Android 8.0 Oreo with Sense U.I and rated on top at IP68 for water and dust resistance. It comes with Fingerprint sensor and HTC USonic with Active Noise Cancellation feature. The company is bundling USB Type-C headphones with active noise cancellation as there is no 3.5 mm audio jack in this mobile. The mobile sports a 6-inch Quad HD+ super LCD 6 display with Corning Gorilla Glass 5 protection, glass display at a resolution of 2880 x 1440 pixels. The device comes with 6GB RAM and 128 GB internal storage that can be expanded to 2 TB using the microSD card. It has 12MP UltraPixel 3 rear camera with Dual LED flash, Phase Detection Auto Focus (PDAF), f/1.7 aperture, 1.4μm pixel, 4K video recording and 3D Audio. The mobile packs 3930 mAh built in battery with Quick Charge 3.0 with 158.5 x 74.9 x 8.5 mm size measurement and weight is 188 gm. HTC U11+ will be available at a price of Rs. 56, 990 exclusively from Flipkart. It comes in Amazing Silver as of now, but will soon be available in Ceramic Black color. Share us your views on HTC U11+ smartphone in the comments section below.